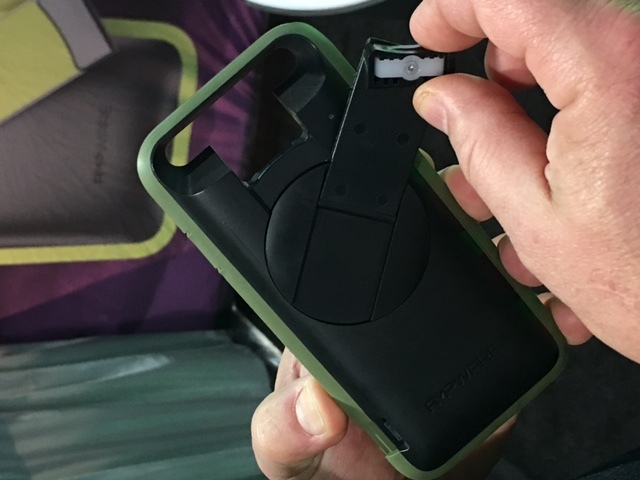 The first hand-cranked portable charger case for iPhone 6 and iPhone 6S received considerable positive attention at the end of last week during CES 2016 in Las Vegas where it had to battle for notice from among over 20,000 products being demoed by over 3,600 exhibitors. The fact that a hand-cranked power bank could shine at such an event clearly shows the importance of backup chargers. 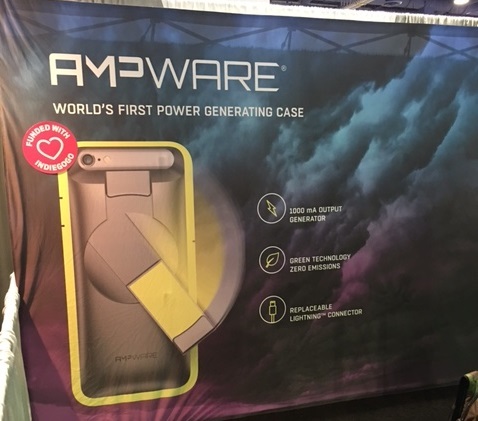 The AMPware case is not yet on the market, but people who are interested in a hand-cranked portable charger can pre-order this mobile device so they can be among the first to receive it upon its release in March 2016. It has a limited capacity at only 1,000 mAh but the main advantage of this case over other tiny capacity power banks is that this battery pack can be cranked back up to full power using a fold-out handle. The AMPware demo of the portable charger at CES 2016 claimed that it must be cranked for 5 minutes. This hand powered battery pack needs to be cranked for five minutes and this will offer about an hour of normal use on an iPhone 6 or iPhone 6S. This seems to place the device in a position somewhere between solar chargers and the traditional form that can be plugged into the wall. 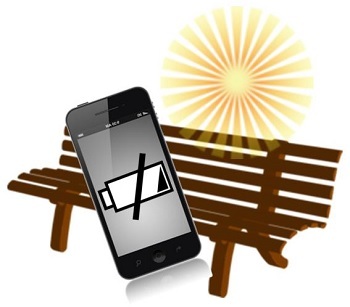 While it does offer far faster juice than a solar cell phone charger – needing only 5 minutes per 1,000 mAh – it doesn’t even approach some of the better quality iPhone battery pack options currently available. Moreover, using this device isn’t simply a matter of plugging in the USB cord as it needs to be cranked up, first, to make sure it actually has power to provide. It looks as though this would be better for someone who is worried about running out of charge during a power failure or a long trip or someone who finds that their cell phone battery is nearly good enough for their needs, but sometimes fall short by less than an hour of usage. As the crank is built right into the case, it does make this a convenient option because no additional storage is necessary but external portable charger devices still compete with that convenience in their work-free power availability. Still, for consumers looking for backup power that is generated for free, always available and eco-friendly, this could be a very appealing option.